Aired on Thursday, July 26th. (Note: This program originally aired back in April.) We speak by phone with the noted performance poet, former middle-school teacher, and current teachers' advocate Taylor Mali. His new book --- "What Teachers Make: In Praise of the Greatest Job in the World" --- is based on a poem that he wrote several years ago, a spirited and encouraging defense of the teaching profession that has, by now, been seen and forwarded millions of times on Facebook, YouTube, Twitter, and elsewhere. It's a poem that gave heart to an entire movement --- and in this book we get the story of what drove Mali to compose that poem in the first place. 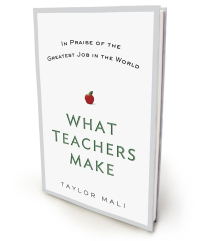 Mali's book also offers an informed appreciation of teachers --- and a declaration of why our society needs them now more than ever. As a reviewer of "What Teachers Make" has noted in the pages of Kirkus Reviews: "Big, bright life-lessons in a pocket-sized package.... Delivers a powerfully positive message.... A valentine to teachers everywhere. Mali proves himself a dedicated, caring teacher within what he considers a hobbled American education system." 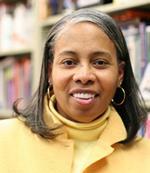 "What Works and What Doesn't in Providing an Excellent Education for All"
Noted Physicist Eric Mazur and His Idea of "Peer Instruction"
On our show today, we speak with the accomplished and award-winning teacher and educational theorist who coined the term "culturally responsive pedagogy" --- Gloria Ladson-Billings --- who is the Kellner Family Professor of Urban Education in the Department of Curriculum and Instruction at the University of Wisconsin-Madison.